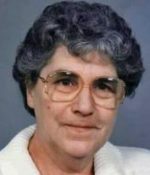 Remembering Louise Wilson | Remembering Louise Wilson | De Soto Obituary Search | Dietrich-Mothershead Funeral Home, Inc. Remembering Louise Wilson | De Soto Obituary Search | Dietrich-Mothershead Funeral Home, Inc.
Louise Esther Wilson was born July 3, 1931 in Cruise, MO. She was the daughter of Andrew Jackson and Maggie Margaret (nee Robart) Bourbon. She died on October 13, 2015 at Hillcrest Care Center in De Soto, MO at the age of 84 years. She is survived by her children, Vincent (Shirley) Wilson, Jr. De Soto, MO; Cheryl Head, De Soto, MO; Michael Wilson, De Soto, MO; Randy Wilson, Potosi, MO; Roger (Lisa) Wilson, De Soto, MO; Dwayne (Mary) Wilson, Festus, MO; Lenesse (Matt) West, Hillsboro, MO; one sister, Lorene “Frenchie” Schneider, Crystal City, MO; step-sister, Vernesse Maloney; 23 grandchildren; and 20 great-grandchildren. She is preceded in death by her parents; her husband, Vincent Wilson; two sisters: Zelena Spiker, and Dorothy Sampson; three brothers:Jessie, Robert, and Bert Bourbon; and a step-sister: Vernesse Maloney. 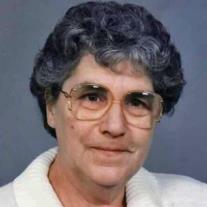 Louise was a member of the Grace Lutheran Church, De Soto, MO. As an expression of sympathy memorials may be made to the Alzheimer’s Association.